Halfords Autocentre has now become one of the many UK garages / auto centres offering DPF cleaning services to motorists. They claim that this new service in response to concerns over diesel car pollution, however our experience with DPF issues puts it firmly down to customer demand and high dealership regeneration prices. When we were initial made aware of this newcomer to the DPF cleaning industry we got in touch with Halfords PR team for a little more information. What we got back was the usual press release with very little information what this new service actually offers. My requests for more information on what their DPF cleaning processes actually involves fell on deaf ears, leaving me no choice but to get on the phone to a local Halfords Autocentre to quiz them direct. My call was very enlightening. Our DPF Maintenance Clean is a professional workshop treatment designed to be used every 6 months to prevent the build-up of soot in the DPF. Book in today and have the peace of mind knowing your DPF is being kept clean, potentially saving you hundreds of pounds. We believe in this product, so we guarantee that should your DPF need replacing or deep cleaning we will take the cost of any regular treatments you have had with us in the previous 12 months off the repair bill, if we do the repair for you. DPF Deep Clean is a professional workshop treatment designed to clean Diesel Particulate Filters that have become blocked due to a build-up of soot. 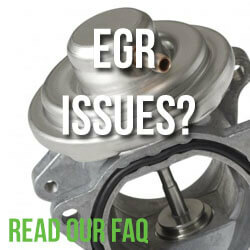 It is a much cheaper solution than replacing the DPF. The treatment will include either a direct flush into the DPF on a ramp or a soak overnight, then a diagnostic regeneration of the DPF to reset the engine management system. This deep clean treatment is guaranteed to work on 95% of cars, dependent on the level of soot and the condition and age of the filter. If it doesn’t work we’ll take the cost off the DPF replacement, assuming we do the replacement for you. In my call to a very helpful “Dave” at local Halfords Autocentre, I asked for a little more information regarding what they actually do to save your DPF and I was a little shocked. 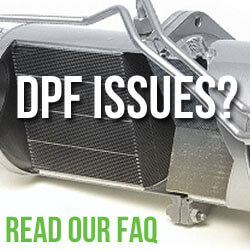 The DPF deep clean does offer a little more for your money. In conjunction with the snake oil above, they perform what was described as a “forced regeneration” (more on forced DPF regeneration here). This is the same process which a dealer regeneration would take but without a key stage. A forced regeneration is performed by heating the DPF filter to extreme temperatures to burn off the particulate which is blocking the filter. This process requires the engine to be held at high revs for a sustained period. A byproduct of this is that both the engine and engine oil will be subjected to immense heat, which is why a dealer should also perform an oil and filter change with a forced regeneration. Oil quality is a key factor when DPFs are concerned so the lack of an oil change after Halfords process is a very disconcerting. This also points to why Halford’s DPF cleaning services are substantially cheaper than dealer prices. Halfords deep cleaning service certainly is a better idea than having the filter removed, however if you do take the plunge we would suggest that you also treat your car to an oil and filter change with the manufacturers recommended low SAPs (low sulfated ash, phosphorus-sulfur) oil. Even with the oil change it could cost less than half of what a franchised dealer would charge. With regards to the maintenance “clean”… don’t waste your money! If you found this article helpful then please share it using the social media buttons below. We’d also like to hear your experience if you’ve taken your car to one of Halford’s Autocentres for a DPF treatment. You might also find the articles below of interest. Having read in Auto Express about the poor service provided by Halfords Service centres I would be very wary of using either option. Had mine in at Halfords 2 weeks ago for Deep Clean of DPF – seemed ok for 1.5 weeks then limp mode again. Had it to the local garage as it was the only place i could get it to and turns out they’d put so much fluid in it that its burnt over and ruined the part and the connection. Tried to just replace the fluid tank and trap but its not enough and the whole DPF needs replacing. Currently awaiting the bill before sending a report and pictures to Halfords. It really amazes me that a lot of companies just don’t spend the time to actually evaluate what these so called snake oils and flushing fluids actually do to the filter itself. What long term testing has been carried out? Tap Water can have a detrimental effect against the catalyst washcoat of the DPF, so what are chemicals doing. The washcoat is the precious metal coating used on most DPFs to help burn off the soot, without this the DPF would be useless. Stick to a proper OEM refurbishing service. how did you solve your VW problem? I have been involved with Auto DPF manufacturer for over 20 years and I am setting up a cleaning system – in competition with may others, but different.I have been cleaning things for over 40 years. Early trials have been very successful so I am looking for others who need help with this problem to prove what can be done. I have a problem with my alfa 159 2.4 jtdm and typically my local garage says that it requires a dealer dpf at a cost of £2500 !!! What are you setting up and could it help me? I am currently similar to my car, trying to accelerate but constantly in limp mode ! I recently went to Halfords for a dpf deep clean for my E220 coupe merc. They added an additive to the tank and took the car for a 30 mile run and the light went out. All good, although i did pay for a deep clean service!. Only a few days later the light was back on. Returned the car back to Halfords and this time i ‘think’ they attempted a direct flush into the dpf and certainly a forced regeneration using the diagnostic tool. Only to be told it didnt complete successfully. I was informed i needed a new one. At no point did they offer/recommend to remove the filter, soak overnight and clean as per their website. Their argument is that it would not have worked as they had already carried the other two processes. I have complained to Halfords and am waiting for a response. How they deal with this will decide if I recommend Halfords dpf deep clean service. I booked an appointment before reading comments and I regret it now. I could not even get a refund over the phone as he said it has to be done online I the booking was made online but there is no option to do it online either. I asked him if deep cleaning is going work and he said there is a 50% chance so it contradicts to what it says on their website, which I think is false advertising. When I inquired about DPF removal service he said it is illegal to do so. 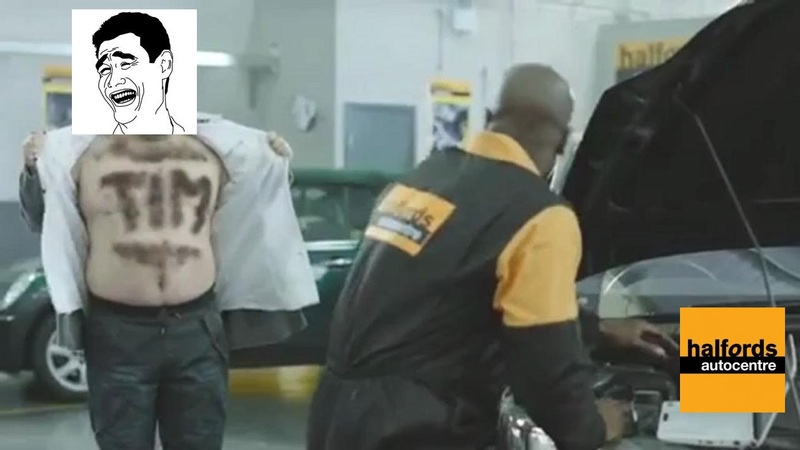 I would not recommend this service from Halfords. Luckily I paid through paypal so at least I’ve got the buyer protection. Just ask any halfords autocentre and ask what they do in these services and they will not even know about it. So, you think well if they not know much about it how can they fix it and it gives you a doubt about their service. I had this experience few months back so, I decided to put cleaning additive myself; it worked; I was not able to get rid of warning light but the car drove real smooth. It has gone in limp mode several times previous to adding additive. It was Puegeot 407. But, now my 508 has same problem but adding same additive has no good effect. Instead I am using high grade fuel. I think that this has something to do with bit technical term as the can says that it wont work on automated dpf cleaner; something like that. I guess mine one is auto. I am using high grade fuel. Let me see if that works. Nice to find this site it time…I was just about to hit the buy button to try and solve my baby beemer intermittent (10 seconds once each journey) ‘catalyser half full’ light issue. Looks like I’ll need a real DPF solution from people who do nothing else but fix DPF’s. I’ve ordered a bottle of Wynn’s as a one off test via your Amazon link. I’ve also reached out to my local DPF specialist for prices. Glad we could help. Let us know how you get on. I too have suffered with a DPF fault, tried many things and additives to cure the fault, they worked for a few weeks/months but always the fault returned. Bought my first diesel Jaguar last year, 3 litre XF. PDF light is back on. I used Halfords DPF cleaner and gave it a 50 mile return hard drive, cleared the fault – until today, two weeks on and here I am again. Starting to regret buying diesel. Furthermore I live in London, our fearless ‘little Mayor’ has now said that as from 2019 we need to pay the additional congestion charge to drive through central London, 24 hours per day/365 days per year. I may need to go back to petrol. Took my car vw golf to Halfords for the deep clean and oil,fil change £180 which was recommended because of the clean. Drove car home it was fine for 1 week then the lights came back on again. I called Halfords back who replied it didn’t work and theres nothing they could do. If I had read the info on here first about Halfords I would’ve never taken it there. I took the car to a DPF specialist 1 month ago and the car is 100%.